Linda Lewis is the American Friends Service Committee (AFSC) Country Representative for China/DPRK. Based in Dalian, China, she is responsible for AFSC’s DPRK program, including its long-standing agricultural development project. She is a regular visitor to the DPRK and has organized numerous study tours and exchanges outside Korea for DPRK partners. She has spent much of her career living and working on or near the Korean peninsula, including service in South Korea as a Peace Corps Volunteer, a Fulbright grantee and research fellow, and an international program director. 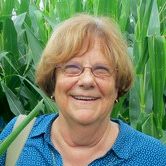 Dr. Lewis received her Ph.D. from Columbia and taught for many years at Wittenberg University (Ohio), where she was Professor of Anthropology and Director of the East Asian Studies Program. She has also held visiting appointments at Amherst, Dartmouth, and the University of Washington, and has taught and directed student exchanges at Sogang, Kansai Gaidai and Zhejiang universities. Her most recent scholarly publications have focused on the 1980 Kwangju Uprising. Before joining AFSC in 2010, Dr. Lewis was Vice-President for Academic Affairs at the Institute for Study Abroad – Butler University (Indiana), and Director of Asian and Pacific Studies at the School for International Training-Study Abroad (Vermont).